Well, actually, it’s in California. Picture a child learning to swim whose parent keeps surreptitiously scooting backward to encourage them to swim further. That’s a little bit like how I feel in my work supporting blended learning at the Highlander Institute. Just when I feel like I’m starting to get it, the target moves a little further down the line. And that’s what makes this work so exciting. There is no room for resting on laurels and every day brings new learning. That was especially true two days last week when I visited Summit Public Schools, a group of charter schools in northern California and Washington. I had the pleasure of visiting three of their schools in the San Francisco Bay Area with a group of educators from across Rhode Island who are trying to advance blended learning here in the Ocean State. 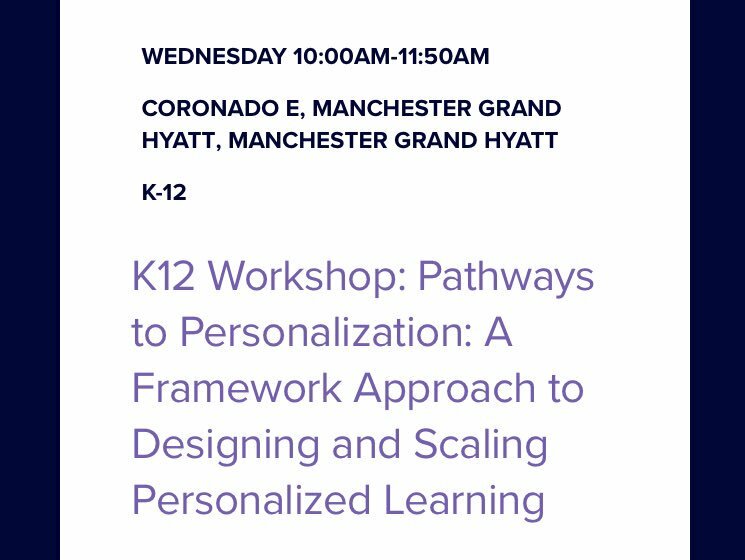 What I found was a community of educators and students who are pushing the frontiers of personalized learning–not because it has recently become en vogue but because it has recently become possible. And because it’s working. We began our visit by meeting with Diane Tavenner, the CEO and Founder. She told us the story of their organization, which began with a group of Silicon Valley parents who were frustrated with the fact that, despite the innovation swirling all around them, their students’ classrooms looked a heck of a lot like the classrooms of their own childhoods. They founded Summit to try to build something new, something better. And they did. They created one and then several very good schools. They grew the network and they sent a remarkably high percentage of their students to college. But after a few years, they were dismayed to discover that many Summit grads weren’t staying in and finishing four year degrees. So they invested time and manpower into focus groups and interviews and surveys of these former students to try to understand what hadn’t worked for them. This struck a chord with me, as I’ve always felt that one of my biggest failings as an educator was that I did too much of the work in my classroom. Caring can quite quickly slip into enabling. So Summit decided to change course and restructure their model around self-directed learning. The backbone of their model is the Personalized Learning Plan: a personal, digital dashboard that contains all of the content and assessments that each student is expected to complete for the year. Content is delivered through playlists of videos, readings, and other digital resources. When they feel ready, students complete an online assessment, which is scored automatically. Completed coursework appears in green and is compared against a vertical line that indicates the average pace at which students need to maintain in order to complete their work by the end of the academic year. There is little to no direct instruction. Instead, class time is spent on collaborative projects. During our visit, I observed a middle school humanities class where students were engaged in a mock Roman Senate and a high school Chemistry class where students were writing patents for their own biodiesel blends. Students who need more support can elect to visit the Tutoring Bar that is available on Fridays during Personal Learning Time or Office Hours, which teachers host before school on certain days of the week. Feedback is the lifeblood of the Summit model. Rather than focusing the majority of their time preparing and delivering lessons, faculty spend most of their class time sharing specific, timely, and helpful feedback with students on the cognitive skills they are working to master throughout their Summit experience. These include skills such as “synthesizing multiple sources” and “critiquing the reasoning of others”. Teachers also voraciously seek feedback from each other. Every teacher we spoke to emphasized their need to learn and improve, despite their credentials or years of experience. Of course, wanting feedback is one thing. Having the time to get it and act upon it is another. Here Summit has designed another elegant solution. Every 8 weeks, each school takes a two-week hiatus from their focus on the core subjects, and students go on “expeditions”. These are elective courses–most of which are taught at the school–on everything from Creative Writing to Computer Science. They are taught by an expeditions faculty that rotates among the various Summit campuses. During the 40 days of expeditions per year, the core teachers have time to grade projects, seek professional development, visit classrooms at other Summit schools, and plan for their upcoming projects. They spoke about the luxury of having this time not only for completing the practical tasks of grading and prep but also for metacognitive tasks like reflection and goal setting. The results of this model are extremely encouraging. Not only are their test scores high, but the students I observed and spoke with were both very engaged and exceptionally articulate about their learning. If this sounds like a glowing review, good. It’s meant to. You might expect that from someone in the ed reform world; hyperbole and enthusiasm tend to be our modus operandi. But, in this case, I believe the hype is deserved. Summit has pushed that target a little further out, redefining what I’m working toward. A team of educators from across RI will travel to the Bay area in California next week to visit with leaders of Summit Public Schools. The trip brings together local school leaders, education researchers, and school designers. Participants in the trip to Summit Public Schools include: Jessica Waters, RI Mayoral Academy’s Director of Next Generation Learning Partnerships and RI’s 2013 Teacher of the Year; Dr. Donna Okrasinski, Dean of Academics at Blackstone Valley Prep; Dr. Gara Field, Principal at Pleasant View Elementary School in Providence, RI; Laura Jackson, Educational Strategies Specialist at Highlander Institute, and Donna Stone, Coordinator of Data, Assessment, and Instructional Technology at Pawtucket School District, Jessie Butash, Vice Principal at Cumberland High School, Maryellen Butke, Partner at Impact for Education, and Jessica Lavalle, Elementary ELA Intervention Specialist at the Providence Public School Department. Summit was founded in 2000 by a group of parents interested in creating a student-centered learning environment. 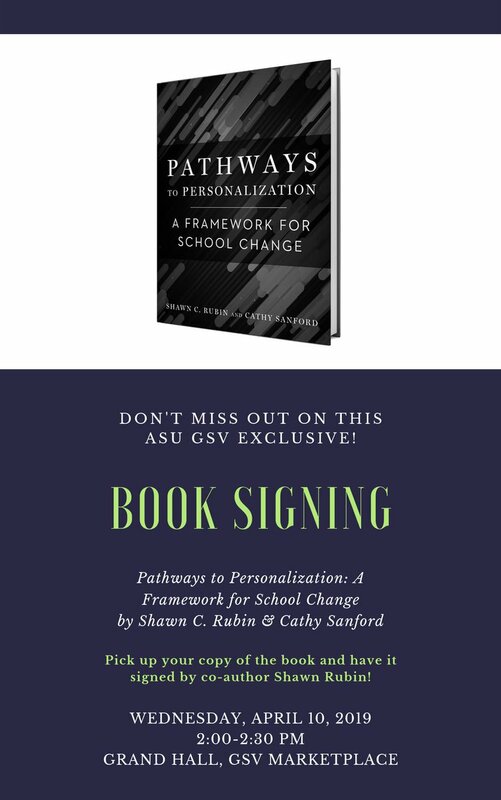 Since then, the system of schools has grown to seven, all focused on personalization, empowerment and rigor. Summit flips the traditional adult-driven school model on its head by creating an environment that allows students to drive their own learning objectives. The Summit model fits with Rhode Island’s current statewide movement towards blended learning, an educational framework that utilizes technology as a tool to create learning environments that more accurately reflect the needs of the 21st century learner. Highlander Institute’s Fuse RI movement has been an ignitor to blended learning throughout the state, and the upcoming trip to Summit will support the research and design of new educational models for RI.